The BLX24/PG58 Handheld Wireless System is part of the BLX wireless systems family. 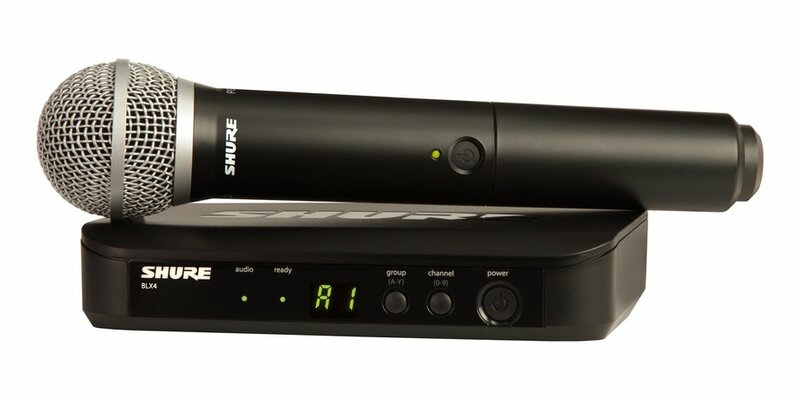 Shure BLX® Wireless Systems combine professional-quality sound with simple setup and an intuitive interface for legendary audio performance right out of the box. Precision-built and available in a variety of configurations, it’s the most accessible way to own the stage. Includes BLX4 single-channel receiver, BLX2/PG58 handheld transmitter, microphone clip, power supply, 2 AA batteries, and user guide.